Volkswagen Canada will sell a new compact SUV/crossover, internally called the "Volks-SUV" or People's SUV, a spokesman said Saturday. “The T-Roc was designed specifically for Europe, as it is considerably smaller than what we are used to over here. As a result, the project was never intended for North America,” VW Canada spokesman Thomas Tetzlaff said in an email to Automotive News Canada. The goal is to sell 400,000 globally a year, VW brand CEO Herbert Diess said at a press conference at VW's headquarters in Wolfsburg on March 14. “It will not be exactly the same, as it is being altered for our tastes here,” he said. Tetzlaff said an exact launch date in Canada has yet to be determined. VW brand sales chief Juergen Stackmann said the crossover is slightly more compact than the Tiguan. "We call it internally Volks-SUV — the production car won't have that name — because it turned from a regional project into a global project," he said. VW approved the SUV's design during the week of March 5. It will based on VW’s flexible MQB architecture for front tranverse engine cars. 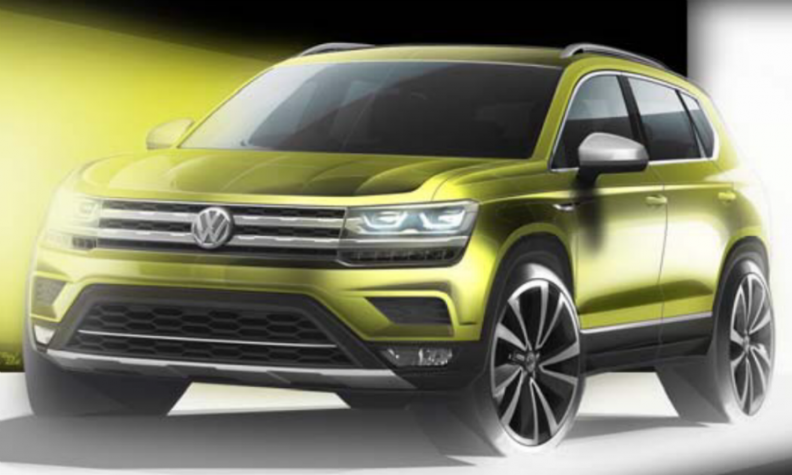 VW brand is intensifying a push into the lucrative and fast-growing SUV category. It will widen its SUV lineup to 20 models by 2020 and expects those vehicles to account for 40 per cent of sales volume by then. It will unveil an updated version of its flagship Touareg SUV in China the week of March 19. A new subcompact model dubbed T-Cross will be added in Europe at the end of this year.